The first Macon Metro Diner, a restaurant offering classic comfort food with flair, is opening on Tuesday, July 25 located at 3710 Northside Dr. The diner prides itself on quality ingredients and a scratch kitchen where they make their own sauces, soups and compotes. In addition, Metro Diner hand cuts their home fries and cracks fresh eggs daily. 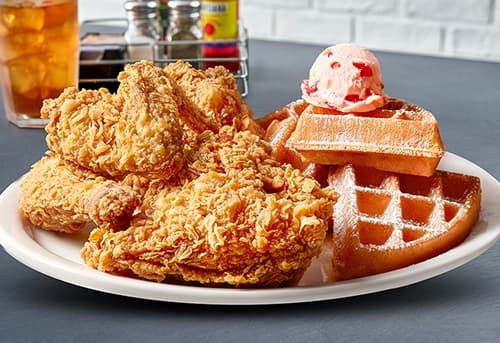 From its Fried Chicken and Waffles topped with house-made strawberry butter and signature sweet and spicy sauce, to its Charleston Shrimp & Grits, the large portion sizes enable every guest to enjoy a delicious meal at a great value, with most dishes priced under $15. The restaurant serves all-day breakfast, lunch and dinner- designed to indulge the taste buds with new twists on traditional dishes made-from-scratch. Metro Diner would love to invite you and a guest to come into the restaurant and enjoy these nostalgic diner favorites. Click HERE to find out more about Metro Diner.